It was a very fine winter morning, breathlessly still and significantly below zero. 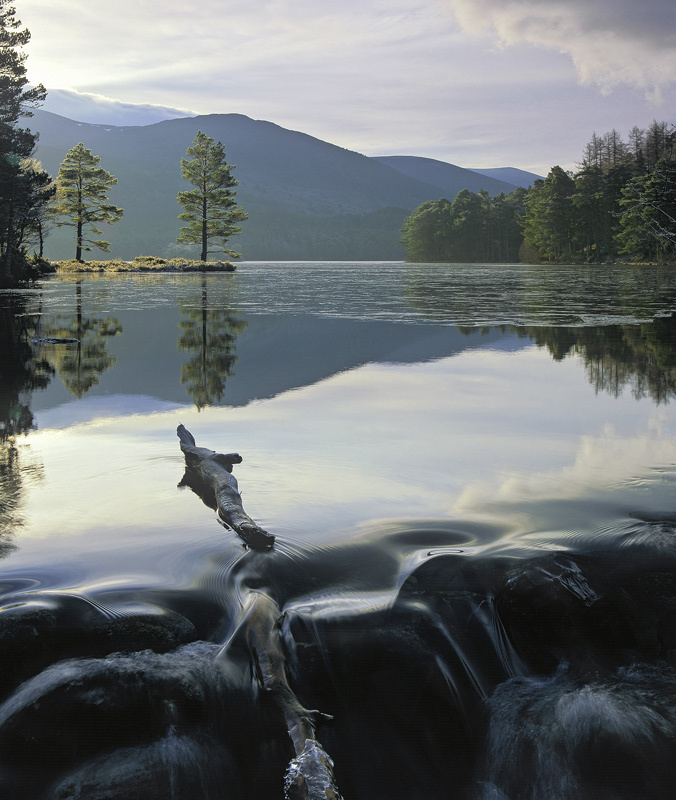 Loch An Eilein had frozen across most of its surface save for the outflow of a small stream which dropped over a ledge and where one or two Scots pine branches had snagged with a glaze of ice forming across it. I waited almost two hours for the light to get high enough to backlight the twin pines and then used the snared snag as a pointer toward the trees.